Have you determined what breakfast you're going to eat on race day? You should be testing out different options to see what works best for you in terms of fueling as well as what is easiest on your digestion. You'll also want to consider what will be available--are you running in your hometown or staying in a hotel another state over? Remember, you're looking for a breakfast with a good source of carbs and not too much in the way of protein, fiber and fat. Have you experimented with carb supplements in the form of gels, gummies or drinks to determine what you'll eat and drink on the course? Half marathoners will need much less of this stuff, but full marathoners will need to consume 30-60 grams of carbs per hour. Have you experimented with options for dinner the night before your race? Race eve dinner can leave you feeling fueled and light the next morning, or you could feel bloated, heavy or--every runner's nightmare--plagued with GI issues. You're looking for a reasonably portioned meal with a decent source of carbs and some protein, but not too much in the way of fat and fiber. Again, it's important to consider where you'll be (at home vs away) and what's available. How is your energy level during the week? 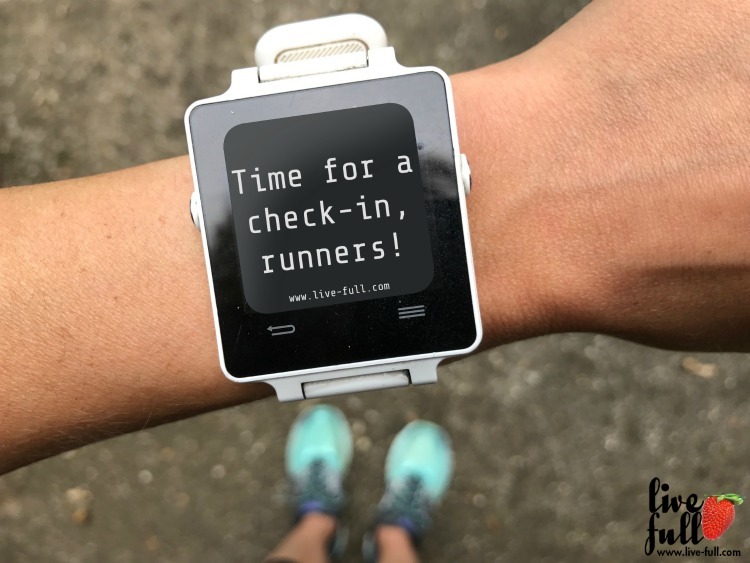 Check in, see where you are, and continue to fine tune for a healthy training season and a fun and successful race day! And if you need support in fine tuning your diet this training season, let's schedule a conversation ASAP. Live Full office hours are now available on Wednesdays at the office of Lifestrength PT in Kenilworth! Please be in touch to make an appointment and begin a conversation that could change not only your health, but your life.